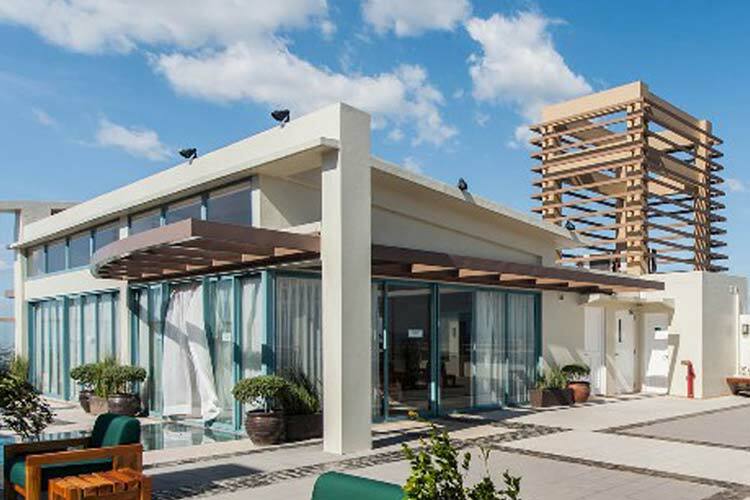 1.1	Upon signing this agreement, the Party Host agrees to pay the VENUE RENTAL of Php8,000.00 (Heliconia Function Room) & Php8,000.00 (Iris Observatory) and Php10,000.00 (Heliconia Function Room/Iris Observatory) for the non-resident client payable to DMCI- PDI. For events booked less than two (2) weeks before the scheduled event, full payment and security deposit is required and shall be settled in through BDO Bills Payment. Reservation fees and all other payments made shall be forfeited for cancelled reservations and “No- Show” cases. Rebooking of events is allowed depending on the availability of the venue place. However, rebooking is only valid for one (1) year from the first reservation made, otherwise, reservation fees and other payments made shall be forfeited. Security Deposit is Php8, 000.00. Must be lodged thirty (30) days before the event. Security deposit will be refunded less charges, if there is any, thirty (30) days after the event date. Photocopy of ID and authorization letter must be submitted before the event as main requirements for security deposit refund. Party Host must provide an authorization letter for MS. MANILYN ANORE to pick up check refund from DMCI HOMES Head Office with photocopy of signatory’s identification card. Any penalties or incurred fees will be deducted from the security deposit. Damages / penalties that will exceed the security deposit will be charged accordingly. Party Host must have the venue checked by suppliers for guests more than the stated capacity. Venue is dedicated mainly for parties, events or other special occasions, function room for seminars or conferences. No Loitering: Visitors / guests are not allowed to loiter not within the leased premises. No Smoking inside function rooms. Gambling is not allowed in all areas of function room. The Party Host shall be liable for damage he/she or his/her guests or suppliers has caused the venue and its facilities including furniture’s and accessories found therein, and for any injury to the person/s or adjacent properties. The Party Host shall be liable for damage he/she or his/her guests or suppliers has caused to the function room and its facilities including the furniture and accessories found therein, and for any injury to person/s or adjacent properties. The Party Host shall be responsible for the conduct of his/her guests at all times. He / She shall see to it that there will be no disturbing activities such as loud / offensive music and boisterous actions. No Wall and ceiling posting, may it be in tarpaulin, posters or of any form. For decorations and other special arrangements, a proposal / plan must be submitted one (1) month before the event for management’s approval. Common area outside the Iris Executive Lounge are subjected for a rental fee and will be endorsed to PMO for payment. 4.1	Caterers shall provide trash bins/bags. Garbage disposal after event must be directed at garbage disposal area. Violation of this section will be charged Php2,000.00. 4.2	DMCI Leasing Services Department is not liable with your contract/negotiation with party host’s third party suppliers i.e., caterers, lights & sounds, photo booth, etc. 5.1	Ingress is Two (2) hours before the main event. 5.2	Egress is One (1) hour after the main event. 5.3	Time extensions such as early ingress, main event extensions and late egress are subject to additional fee for the venue at Php1,000.00/hour payable to DMCI-PDI. 5.4	Main Event extensions will only be up to 11PM maximum. 6.1	Pay parking is available at Park N’ Go. 6.2	Special arrangements must be directed to the parking operator. Name and contact number of caterer. Name and contact number of supplier of sound system. DMCI Leasing Services Department shall have the exclusive prerogative to remove, disallow or discontinue the use of the venue if the lessee does not comply with the rules and regulations. I, hereby declare and acknowledge this document as legally binding and set my electronic signature (by checking the tickbox in this online application form) on of my own freewill. I, agree to the terms and conditions stated in this document as set by DMCI Homes Leasing Services. 1.1	Upon signing this agreement, the Party Host agrees to pay a reservation fee of Php7,000.00 (Heliconia Function) and Php8,000.00 (Iris Observatory) payable to DMCI- PDI. 1.2	Fifty percent (50%) shall be made by the Party Host Thirty (30) days after the reservation. 1.3	Fifty percent (50%) balance must be settled Thirty (30) days before the event. 1.4	For events booked less than Two (2) weeks before the scheduled event, full payment and security deposit is required Five (5) days before the event and shall be settled in cash basis only. 1.5	Reservation fees and all other payments made shall be forfeited for cancelled reservations and “No- Show” cases. 1.6	Rebooking of events is allowed depending on the availability of the venue place. However, rebooking is only valid for One (1) year from the first reservation made, otherwise, reservation fees and other payments made shall be forfeited. 2.1	Security deposit for will be the same as the venue rental. 2.2	Must be lodged Thirty (30) days before the event. 2.3	Security deposit will be refunded less charges, if there is any, Thirty (30) days after the event date. Photocopy of ID and authorization letter must be submitted before the event as main requirements for security deposit refund. 2.4	Party Host must provide an authorization letter for Ms. Manilyn Anore to pick up check refund from DMCI Homes Head Office with photocopy of signatory’s identification card. 2.5	Any penalties or incurred fees will be deducted from the security deposit. 2.6	Damages/penalties that will exceed the security deposit will be charged accordingly. 3.1	Party Host must have the venue checked by suppliers for guests more than the stated capacity. 3.2	Venue is dedicated mainly for parties, events or other special occasions, function room for seminars or conferences. 3.3	No Loitering: Visitors/guests are not allowed to loiter not within the leased premises. 3.4	No smoking inside function rooms. 3.5	Gambling is not allowed in all areas of function room. 3.6	The Party Host shall be liable for damage he/she or his/her guests or suppliers has caused the venue and its facilities including furniture’s and accessories found therein, and for any injury to the person/s or adjacent properties. 3.7	The Party Host shall be liable for damage he/she or his/her guests or suppliers has caused to the function room and its facilities including the furniture and accessories found therein, and for any injury to person/s or adjacent properties. 3.8	The Party Host shall be responsible for the conduct of his/her guests at all times. He/she shall see to it that there will be no disturbing activities such as loud/offensive music and boisterous actions. 3.9	No wall and ceiling posting, may it be in tarpaulin, posters or of any form. For decorations and other special arrangements, a proposal/plan must be submitted One (1) month before the event for management’s approval.